I don’t do this as often as I would like, but once in a while I interview people that I would love to 'meet' in person that are associated with African literature. I am super excited about the next series as I get to ‘meet’ not one, but five SF authors from the recently published AfroSF v2 - which contains five novellas from six African authors. Thanks to Ivor Hartmann for helping to put me in touch with the authors of his latest edited collection. The anthology includes stories about feuding superhero brothers; a post-apocalyptic Earth that has survived freezing; ancient technology, tradition and modernity in a conflict-zone; an alien invasion; and a pretty messed up place called Paradise City. After reading them I was curious and wanted to know more about the stories – the inspiration behind them, the worlds each author created and the many questions I had unanswered. In the process I got insights into these amazing stories, got schooled in some cases and had even more appreciation for this collection that Hartmann has put together. 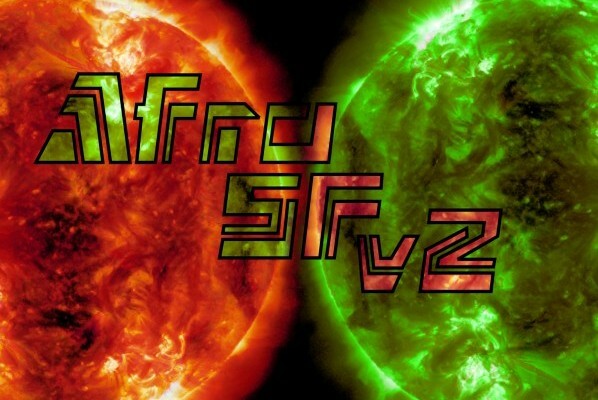 So next week for four days – unfortunately I was only able to interview five of the six authors – each author from AfroSF Volume 2 will be sharing insights into their novellas. Out of nowhere. We were sitting at a friend’s house in Paris, and actually kicking around ideas for some far future screenplay, kind of dystopian, really cliché as those things go, and I thought writing something post climate change would be much more interesting. It’s not really an 'alien’ race. I wonder why people keep seeing them as ‘alien’. Maybe because we have been conditioned to believe that we are the only intelligent species to have ever walked on this planet, and so any other intelligent beings have to be from outer space. But what do we really know about the history of Earth? What do we know about beings that lived here ten thousand years ago? That's a tad complicated. I admit, part of me sometimes tells me to ''finish the story,'' but there's another part that tells me to let the reader figure it out. The latter is winning. So currently, I'd have to say no. No novel. As there are five novellas, I had the plan to ask each of the author's five questions mainly about their novellas. It was also challenge to myself to as well, as I initially had tons of questions I wanted to ask. Although, as will be seen, sometimes I might have cheated just a little, and asked two-part questions (but only just a little).